PostScript 3® interpreter, Navigator is fully compatible with the most popular software packages used in the graphic arts industry today. Whether your production requires throughput of PostScript, PDF, TIFF, EPS, or even PDF/X, Navigator supports you. An easy-to-use graphical interface helps guide jobs through the RIP for output to over 250 film, CTP, and proofing devices, while optional features such as in-RIP trapping, CIP3 generation, and integrated imposition make it a top performer in the most demanding production environments. Navigator RIPs are the pre-press foundation of small print shops, large commercial printers and multi-million dollar publishing houses around the globe. 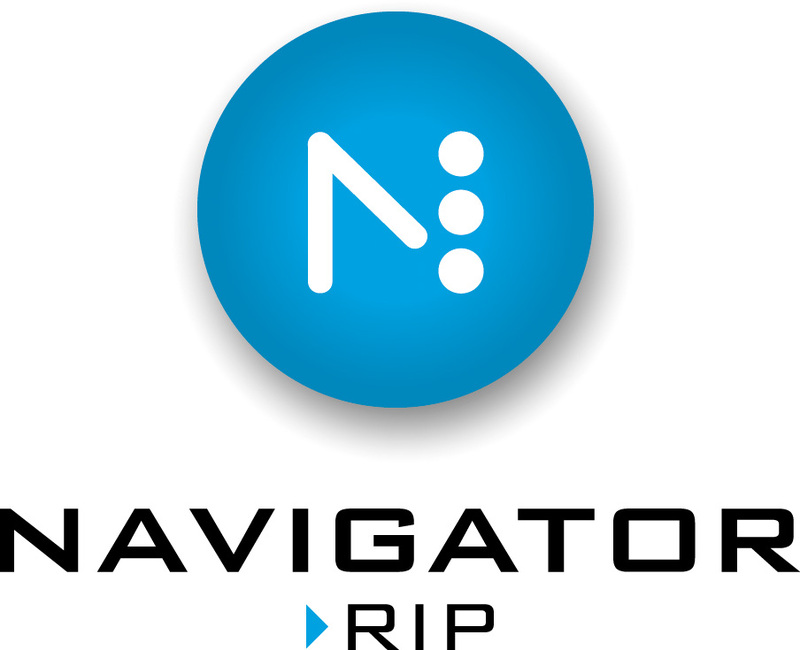 Available for PC and Macintosh, Xitron’s Navigator RIP is a solid foundation for your pre-press needs. A Preview That Doesn’t Stop Production - View RIPed data from any workstation . . . without halting the Harlequin RIP and stifling production. Choose from multiple magnifications, single plates or combos, spot colors, and traps down to the pixel level. Verify the data before it makes its way to the plate and costs you money. Enhance throughput with a complete solution that includes desktop job management & tracking with optional PDF creation, preflighting, ink remapping, ROOM proofing, integrated imposition and digital ink key presetting. Powerful and functional on its own, optional modules for the Navigator RIP can increase productivity and help to streamline the entire pre-press operation. In-RIP trapping with TrapPro ensures accurate, vector-based traps. Proofing plug-ins allow a single RIP to drive a high-resolution device and color-managed proofers. Simple Imposition provides automated in-RIP imposition for most 2-up and 4-up applications. CIP3 provides ink key data to press consoles, while RIP Manager builds on the functionality of the basic ROAM soft-proofing feature of Navigator by providing a preview of RIPed jobs on any desktop - without interfering in the RIP’s production. Click the links for more information about optional Navigator modules. Navigator supports a wide variety of proofing options, including the most popular ink-jet proofers from Epson and HP. Adding a proofing plug-in to a Navigator RIP closes the color proofing loop, ensuring data integrity. The same RIP used for proofing processes the final output to film or plate. All Xitron Proofing Plug-ins include ColorPro, Global Graphic’s built-in color management system. ColorPro supplies a full range of color management tools, providing accuracy in color output through targets such as SWOP®, FOGRA, and Gracol®. ColorPro will also accept custom ICC profiles generated for specific needs. Xitron vDot-4 supports the Epson 7900 and 9900 proofers. vDot-4, is the latest release in the popular vDot family of proofing plug-ins for Epson proofers. The release of vDot-4 brings about a fundamental change in the way in which Xitron is approaching the proofing market for Epson printers. vDot-4 is the first plug-in that carries Xitron’s TotalProof certification. TotalProof certification provides out-of-the-box color accuracy for Gracol®, Swop® and Fogra printing conditions. Xitron’s vDot family of Navigator Proofing Solutions also provide support for earlier generation of Epson proofing printers including the Epson 2100, 2200, 4000, 7600, 9600, 10000, 10600; 4800, 7800, 9800; and 4880, 7880 and 9880. Xitron’s TotalProof certification simplifies proofing by delivering high quality contract proofs meeting industry specification and process control methods. TotalProof combines the Xitron Epson proofer driver, specialized ICC profiles and Xitron X1 inkjet media to achieve outstanding results. Navigator Proofing complements Navigator workflow solutions by using a single RIP for both proof and final output, thus improving prepress production while ensuring data integrity and delivering high quality contract proofs. The Navigator proofing plug-in for Epson 7900/9900 proofers is an option for any Navigator Workflow or Navigator Proofing RIP version 8.0 and higher. Xitron offers trapping from within the Navigator RIP. TrapPro features object and vector trapping, auto-chokes and super blacks along with small object protection. It also supports raster to raster trapping, sliding traps, mitered ends and feathered traps. TrapPro uses the job’s PostScript® display list to identify trap areas (typically a small subset of the whole page) and then traps them in a purely raster fashion. Xitron’s Navigator Workflow Server helps to increase productivity, manage your workflow, and reduce costs. An intuitive interface allows multiple operators to manage their work from any Windows or Macintosh workstation on the network, while the Navigator Workflow Server directs output production through up to five RIPs. The workflow server is modular and expandable, offering several options to further enhance prepress productivity. These enhanced capabilities make the Navigator Workflow Server an even more powerful tool for any prepress professional’s desktop. Job Definition Format (JDF) is a comprehensive industry standard designed to enable “end-to-end” job ticket specifications. Eventually, JDF will allow different applications and systems to communicate fully and effectively as jobs pass from point to point in the prepress cycle, streamlining the entire process. Xitron’s Navigator RIP is JDF capable, meaning Navigator 7.0 (and higher) users will be able to add optional JDF components as they are released. The minimum recommended requirements shown are for nominal loads. Additional RAM, additional or faster processors, faster and/or larger hard drives may be necessary to achieve optimal speed and throughput. Use the minimum specifications provided as a starting point. Final PC configuration is an end-user decision based on budget, workflow and speed requirements. All configurations assume the customer will require and specify some form of network connectivity such as 100-base Ethernet. Although it may be possible to operate the RIP with less than the minimum, Xitron recommendations are based on providing the customer with a system to meet their production demands.